Garmin's Delta Smart training system helps with so many tricky dog training tasks. Garmin's Delta Smart training system helps with so many tricky dog training tasks. It's an automatic bark limiter that can help keep your pooch quiet while you're away. Download Garmin's free app to turn it into a remote control for active training, and a fitness monitor. Use the Garmin Delta Smart™ bundle with the free Garmin Canine™ app to train your dog and track his fitness. If you have a specific area of the house where el doggo is not welcome — the luxurious new couch, for instance — you can place the included Keep Away tag nearby so he'll avoid it even when nobody's there to catch him. The device slides onto any pet collar 1" wide or less. It detects throat vibrations so it knows when your dog is barking, then automatically lets him know it's not allowed. Choose vibration, audible tone, or electrical stimulation to get his attention, and soon you'll have a quiet pup who will stay out of trouble with the neighbors. The device can handle bark limiting on an automatic, as-needed basis. 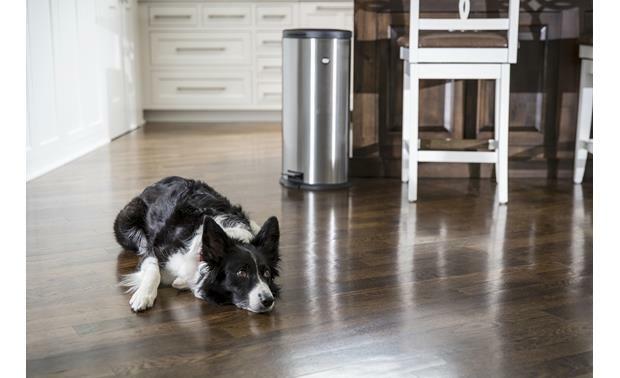 For active training — keeping a pet out of the trash, for instance — you'll want to administer correction every time you see them behaving badly. Download the free Garmin Canine™ app, and your smartphone becomes your training remote. Choose settings and trigger correction by tapping your screen, easy as can be. 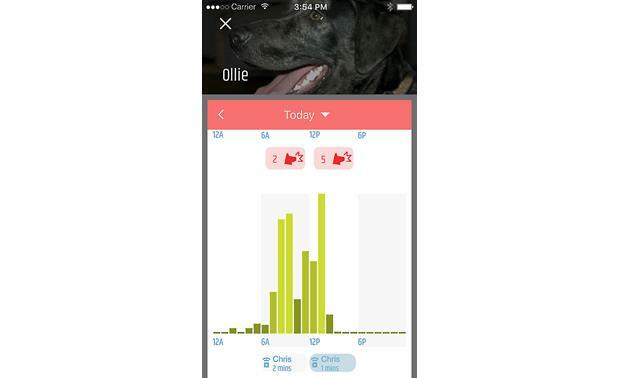 The app also monitors how much activity your dog gets while wearing the collar. You can see patterns of activity and rest over time, which provides invaluable information for you and your vet as you check your pet's overall health. The included Keep Away tag works with the collar device to keep dogs away from specific areas in your home. Put it near the baby's crib, or up on that tantalizing countertop. When your curious dog comes near, the collar device will let her know it's a no-no. Add more Keep Away tags if you find you need more coverage. Overview: The Garmin Delta Smart Dog Training System helps you train your canine and track his activity. 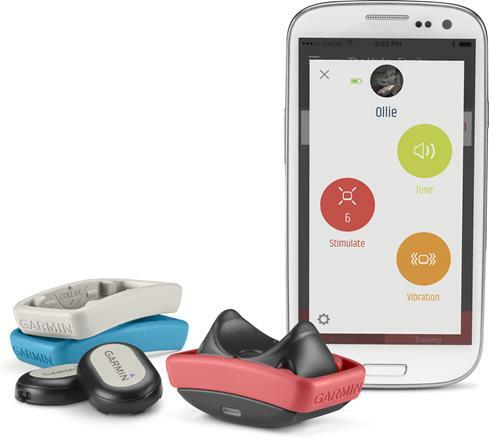 This Premium Training Bundle includes the Delta Smart device, the Delta Canine Remote, and a Keep Away Tag. 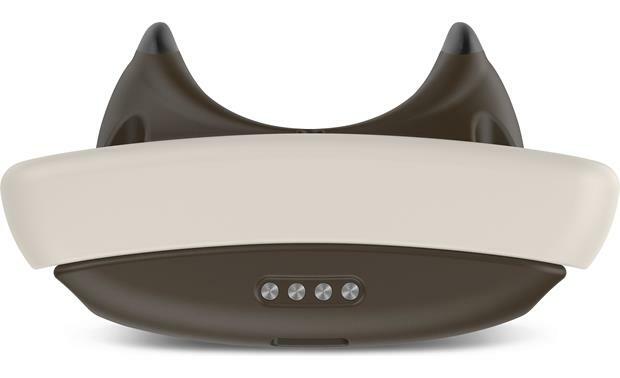 The Delta Smart Device is worn on your dog's collar and provides corrective feedback. The hand-held remote can be used while training your dog to trigger the corrective feedback on the collar device. The Keep Away Tag creates a barrier to keep your dog away from undesired areas. The Delta Smart Dog Training System is managed by the free Garmin Canine app (for iOS and Android devices). Device: The Delta Smart training device is a small, lightweight device that fits collar straps up to 1" wide and up to 1/8" thick. It has two contact points that gently touch the front of your dog's neck. 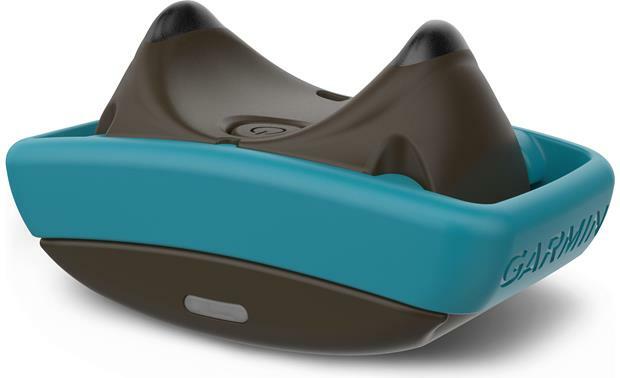 The device can deliver a tone alert, vibration, or corrective stimulation to get your dog's attention, and safely and effectively provide a deterrent to unwanted or annoying behaviors. The built-in Bark Limiter can detect barking through vibrations from the dog's throat and deter nuisance barking with automatic correction. It can connect to your smartphone via Bluetooth so you can train and monitor your pet through the free Garmin Canine app. Three collar bands (gray, blue, fuchsia) are included to secure the device to the collar. The device is 2.5"W x 1.4"H x 1.3"D, and weighs 1.4 ounces. Power Requirements: The Delta Smart device is powered by a Lithium-Ion rechargeable battery. The battery charges in approximately 2 hours when connected to the charging cable and a USB power port. 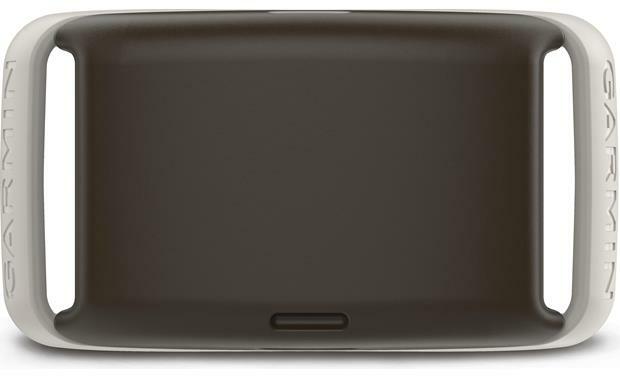 When fully charged, the battery life is typically 2 weeks, or 1 week when using Keep Away Tags. Garmin Canine App: The Delta Smart Dog Training System works with the Garmin Canine application for iOS and Android devices. 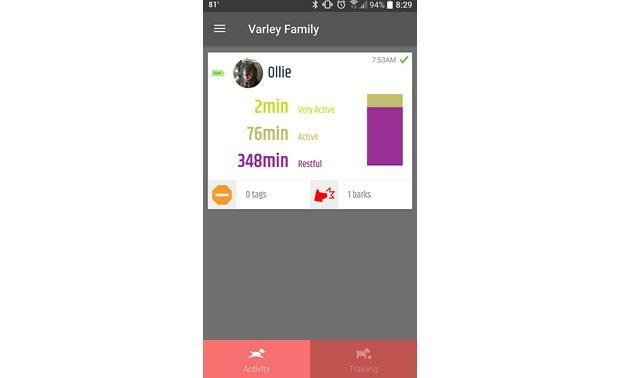 Through the app, you can monitor the level of your pet's physical activity, plus the amount of time he spent barking. 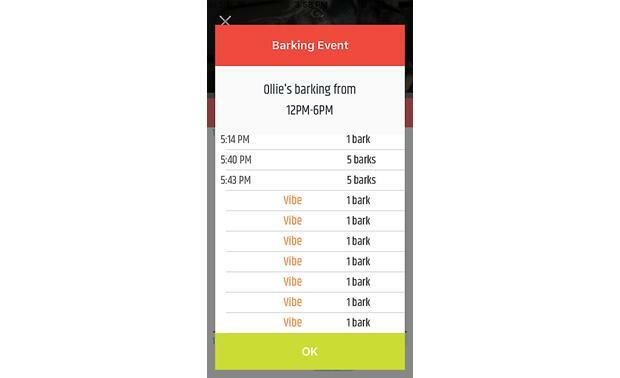 The app can also remotely trigger a tone, vibration, or corrective stimulation to your dog. If Keep Away Tags have been placed in your home or yard, you can use the app to configure settings to automatically correct your dog when he is in close proximity to the tag, as well as view recorded data to see what sensors he gets close to. The Garmin Canine app can be used to manage multiple dogs, each with individual profiles and training settings. The app is compatible with Apple iPhone/iPad (requires iOS 9.0 or later) and Android phones and tablets (requires Android 4.4 and up). Delta Canine Remote: The Delta Canine remote control provides instant feedback to your dog through the Delta Smart collar device. The key fob-sized remote has three buttons that can deliver tone, vibration, or stimulation feedback from up to 10 meters away. You must pair the Delta Smart device to the Garmin Canine app on your smartphone before you can use the remote. It is powered by a CR2032 Lithium coin-cell battery (included), and typical battery life is about a year (based on 1 hour of use per day). The remote also has a 5 ATM water-resistance rating. 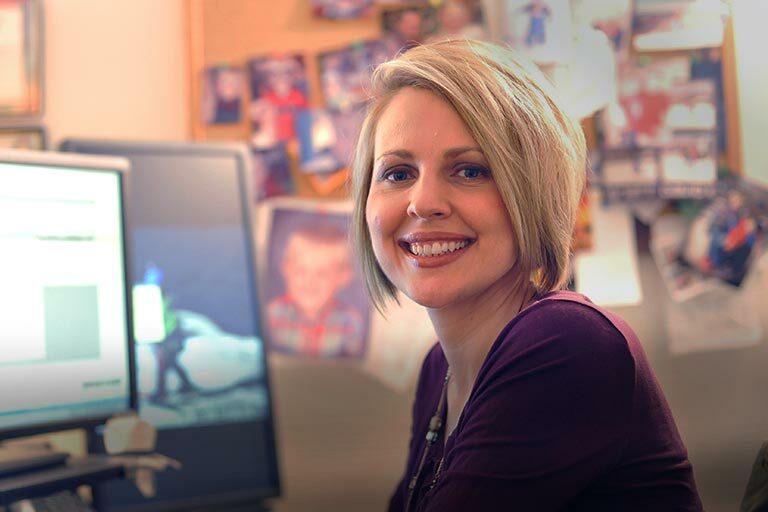 It comes with a mount that can be worn on a belt or attached to the included lanyard. Keep Away Tag: The Garmin Keep Away Tag is an accessory for the Delta Smart Dog Training System. 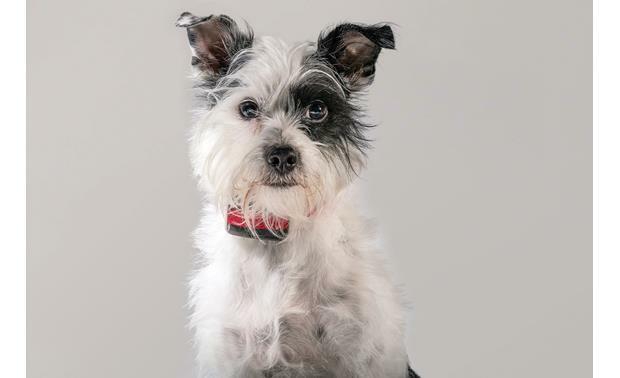 Place the tag on items or near areas where you don't want your dog to go, and the Delta Smart device on your pet's collar will activate when they are in close proximity. The Keep Away Tag is powered by a CR2032 Lithium coin-cell battery (supplied), and operates on ANT+ wireless protocol (2.4 GHz) with an effective range of up to 1 meter. Typical battery life is 3 months. The tag is 1.4"W x 1"H x 0.4"D, and weighs about 1/4 of an ounce. 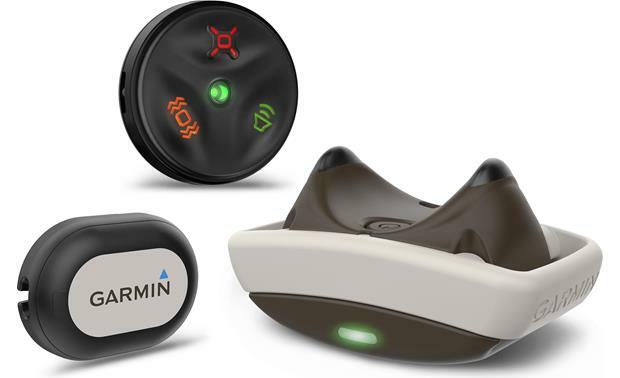 Searches related to the Garmin Delta® Smart™ Bundle Remote-controlled dog training device and activity tracker with Keep Away tag.